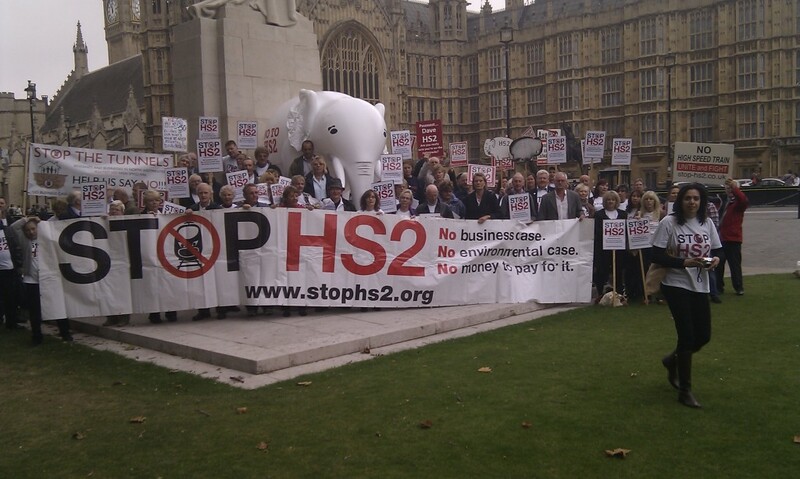 Stop HS2 are arranging a demonstration outside Parliament on Monday 28th April. This is a really key moment to let Members of Parliament know what is wrong with HS2, before they vote on the HS2 Hybrid Bill later that day. The HS2 vote is expected around 10pm, so it would be great if you can arrange a meeting with your MP in the afternoon or early evening if you can’t get to the demonstration. HS2 faces it vote and the courage of 20 accountable people needs public applause. The population voted several times against the HS2 idea in the fudged failed endorsement counts. Persuade another MP to search their true self belief and overcome face saving patronage of their head and whips. HS2 is a Great Brititsh mistaken project that has not convinced and should not confiscate land in vain to save face for the miguided few. Request you MP one more time or for this time to vote for public reason and for better transport projects but not this virgin route to destroy so much for so few. Thank you. Enjoy Easter. Having the vote is the shame on the Parliament. The scheme is of little effective benefit to the railway needs of the masses of people. The most confused plan of a network enhancement. The few MPs faced down the Great British public by converting qualitative consultations into quantitative phrase counts the demonstrated wider opposition for credible reasons. HS2 did not address the issues arising and the Parliament’s process for ES submissions was treated in the same dumbing down way. MPs have become detached from realities for the nation and focus on this secondary priority because two Prime Ministers had lost sight of the priorities first with Labour and now with the Conservatives.